On one of our day tours in Bali, the Besakih Temple was part of the itinerary. To get to the main part of the Temple, a one mile walk was entailed. 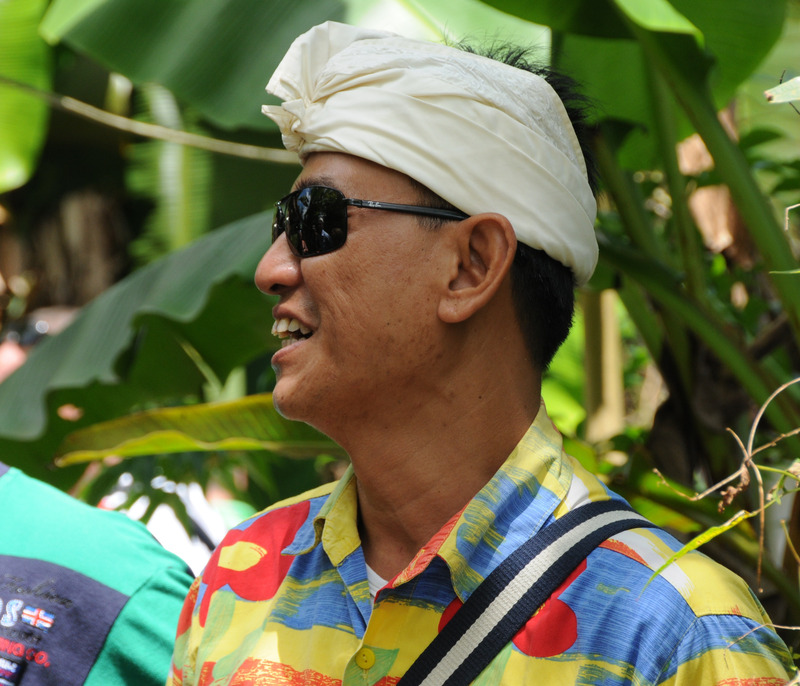 During the walk back to the bus, my husband and I were given the opportunity to share a private conversation with Wayan, our tour guide. He warmed to us and freely shared some of his personal life. Chances of him ever getting off the island is practically nil. A vacation might be to go to the other side of Bali. He calls himself fortunate that he has a room near his employment so he would not have to travel far if his workday extends into the dark. As he was telling us these things, the tone of his voice was not in a complaining manner but a “this is the way of life” manner. Coming from a First World country, I immediately felt sorry for him. Time has passed since then and I wonder if it is he that would feel sorry for me and my lifestyle. I analyze my expectations of a happy life in a grander scale. Along the way, we define contentment in large screen TVs, fancy cellphones, nice cars, large homes, and luxurious vacations. These items will hold us through until we can afford to retire. Then we find ourselves never seeing the light at the end of the tunnel because we just bought ourselves another luxury item to keep us happy for now. So we continue working and grumble along the way. So, it leads me to question our daily contentment. Is Wayan more content on a day to day basis than I am? His expectations of a happy life is definitely less materialistic than mine. So why is it that he can be just as happy as me with less. Did I get caught up in “Keeping Up with Jones”? Fear in “What would people think”? It’s the world we live in and what we have become accustomed to. I have my large screen TV, my iPhone, a nice car, large condo and twice yearly vacations. I am content with it and I shouldn’t feel sorry for Wayan. Chances are he might be just as content with his life as I am with mine. You are so right. How often do we look at one of our things and think, ‘we need a new one of these, let’s go get one’. We don’t think twice about it. Could we have put this money to better use and put up with what we have? Usually we could but we don’t. But here you have a man who is happy to go home to one room. He doesn’t care that he doesn’t have a big house, a fancy car or expensive trips and ‘things’. He likes his room and whatever he has no matter how old and worn they are, he’s very proud of everything. I think we should be more like Wayan and just be happy with what we have achieved and where are in life. We need to be happy and spend more time with our families and get rid of the stress that keeps us running day to day to day. The old adage about slowing down and smelling the roses makes even more sense in this crazy world that we live in now more than ever. Just do it. Easier said than done.